The JEA/NSPA Convention program can be found on the NSPA Website. There’s lots of great stuff in it to check out if you’re headed to Kansas City later this week. I went ahead and pulled digital media related topics that will be presented so you could have a quick glance at what all will be offered if that’s something you’re wanting to focus on at the convention. There are lots of great topics and presenters. Feel free to print this off (or have your students print it) and use it as a cheat sheet of digital media sessions for the convention. You can see the sessions below or download a Word document here. Doug Kapeller, Olathe Northwest High School, Olathe, Kan. Aimed at beginners, this program for students and teachers is a brief over­view of the options available for taking your school media online. From buying a domain to considering what to do with online comments, there are a myriad of topics to consider. Craig Branson, ASNE High School Journalism Initiative, Reston, Va. So you’ve decided to make a serious ef­fort to become an online media source. Don’t make the mistake of thinking online stories are the same as print stories. At­tend this session and learn how to write, produce and edit for an online audience, and how to avoid the dreaded news shovel that could dig your online grave. Jeff Browne, University of Kansas, Lawrence, Kan.
What is computer-assisted reporting, and why should you be doing it? Get story ideas you can do as soon as you return to school. Twitter is the new reporter’s notebook. Notes and quick thoughts for the world to see, but it can also improve student writing. Learn how to use new technology to tell your stories (and make money). Also learn about photography websites that are available for teachers and students so that you can quickly and inexpensively look professional. Sites discussed will have Web 2.0, print, sales and storage options. Find out about the increasing interest in blogging by both writers and the public. These speakers will discuss how to get a blog if you’re in a newsroom; tips on how to grab readers; how to write headlines for blogs and Web items; the difference in news judgment from print to Web, and what has worked for their website. Amanda Wilkins and Pamela Spencer, The Kansas City Star, Kansas City, Mo. 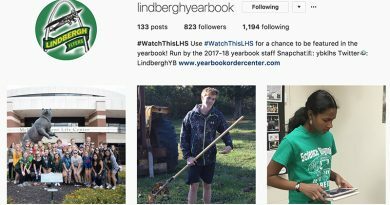 Has your yearbook staff been trying to ig­nore the influence of digital media, think­ing it doesn’t apply to you? Unsure how to change what you do to reflect new technology? Looking for ideas on how to use social media? See what others are doing and learn how to make some changes to stay in the game. Sarah Nichols, MJE, Whitney High School, Rocklin, Calif.
Judy Robinson, CJE, University of Florida, Gainesville, Fla. This introductory-level session teaches advisers and students how to build a website using WordPress, a publishing platform that makes it easy to have a functional, multiuser site that is also aesthetically pleasing. Learn how one high-school staff launched a site, from registering a domain to registering reader accounts. Now students can publish var­ied content: audio slide shows, blogs and podcasts. You can too. Liz Palmer and James Miller, duPont Manual High School, Louisville, Ky.
A participative, collaborative discussion on the issues, opportunities, benefits and im­pacts of crowdsourcing and personalizing multimedia content (videos, copy, texts, Twitter streams, photos …) for school media..
Steven M. Howard, Screen 5ive Inc., Atlanta, Ga.
Students will have the opportunity to explore the inner function of Google Docs and how can it help their newspaper. No more excuses about missing work. No more disorganization. No more being un­available for conferencing on work. Learn how to organize your newsroom and make life easier using this free service. Starr Sackstein, CJE, World Journalism Preparatory School, Flushing, N.Y.
It’s hot off the press — ethical protocol for cultivating free and responsible stu­dent news media, improving communica­tion among scholastic journalism stake­holders and enhancing democratic learning in schools. The protocol is the result of a two-day conference, where more than 50 participants — including teachers, adminis­trators, students, school board members, attorneys, professional journalists and other journalism stakeholders — gathered to share ideas. Learn about proactive strategies for creating an environment to practice genuine journalism at your school. Randy Swikle, CJE, McHenry, Ill., and Shawn Healy, McCormick Tribune Freedom Museum, Chicago, Ill.
Blogging sports requires more than offer­ing one’s opinion. Blogging requires solid reporting, terrific observations and top-notch writing. Learn tips for starting and maintaining a sports blog fans will want to read. Joe Gisondi, Eastern Illinois University, Charles­ton, Ill.
As multimedia becomes a larger part of today’s scholastic and professional jour­nalism, this session will have something for everyone. Learn how to generate site traffic, create an appealing Web page, cover live events and much more. Leslie Orman and Chase Snider, Kickapoo High School, Springfield, Mo. This committee will meet to discuss goals and projects for the upcoming academic year. Aaron Manfull, MJE, Francis Howell North High School, Saint Charles, Mo. Take control of your identity as an online communicator by turning yourself into a product. Make you and your work known throughout your school, the region and even the world. Learn 10 steps for suc­cessful self-branding. This session will review the trials, tribula­tions and successes of establishing a media-convergence course. Rod Howe, Matt Rasgorshek and Nathan Moseley, CJE, Omaha Westside High School, Omaha, Neb. Getting stories online can seem daunting, especially with a print newspaper still to produce. But the task isn’t as difficult as it appears. The trick? Work smarter, not harder. Learn some basics of online news writing as well as a few easy ways to get those stories to the Web with resources you probably already have in place. Jim Streisel, MJE, Carmel High School, Carmel, Ind. Advisers will discuss their experience advis­ing high school news media that publish online and in print. Informational handouts, links and stories will be provided. Through a MacNeil/Lehrer grant, three Omaha advisers have been piloting the.news, a video-based classroom initiative developed by PBS. The program provides lesson plans, in-depth video stories, as well as editing tools for your students to create their own videos. Learn how to use this ground-breaking tool in your classroom. Hillary Aerts, CJE, North High Magnet School, Omaha, Neb., David Herman, Northwest High School, Omaha, Neb., and Jerred Zegelis, Benson High School, Omaha, Neb. Learn how to use Google Docs, Google Calendar (with reminders), and Gmail to organize deadlines, your style guide, your ladder and more. Improve staff communi­cation and motivation. And it’s all free. Jen Bladen, Harvard-Westlake High School, North Hollywood, Calif.
Julie Leach, Kansas City, Kansas Public Schools, Kansas City, Kan.
See how students and teachers can create a broadcast news station at their school with limited funds and little train­ing. Using his story as a guide the speaker will show beginning journalists the tools they need to be successful early in the broadcasting business. If you have two people who sit at a desk for your daily announcement show, then this workshop is for you. The addition of packages and specials can make your show more interesting. 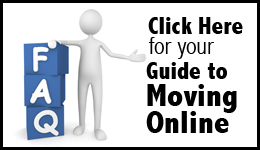 Get pointers on production efficiency, scheduling, working with administration and how to balance entertainment with news. Major companies are using emerging and social media to connect to their audi­ences, and your publication should too. Get hints for connecting with your school through Facebook, Twitter and the Web. You’ll also see sites that can make your newsroom efficient and, maybe, more fun. David Studinski, mtvU College Media Network, New York, N.Y.
Joe Gisondi, Eastern Illinois University, Charleston, Ill.
KSMS broadcast staff members will show how they incorporated video into live, in­teractive events at their school last year. Students will explain the technology used, and then they will perform a live, real-time example of how the event worked. Travis Gatewood, Wes Creaden, Shelby Lemon, Brian Schwabauer and Kevin Sikes, Shawnee Mission South High School, Overland Park, Kan.
Revolutionize deadlines and production for your publication staff by increasing accountability, fostering collaboration and ditching the shared drive — all while sav­ing paper and toner — with Google Docs. Learn tips and tricks, both basic and advanced. If you’re not using Google Docs yet, you will after this session. Megan Hughes, Park Hill South High School, Riverside, Mo. You’ve heard the buzz word. You’ve seen the online newspapers. You’ve felt the excitement. But are you unsure where to start? This session is perfect for the begin­ner and will include discussion on equip­ment, working with administration, CMS options, coverage ideas, marketing and more. This session is for beginning videography students and teachers. Learn the 10 basic rules to better videography. This will be an easy lesson to take back to the classroom, as well as for students to implement. Bobbi Templet, CJE, Oldham County High School, Buckner, Ky. Many students and teachers are com­fortable with peer-editing sessions using small groups, red pens and guided ques­tions on the chalkboard. But what about the new age of computer collaboration when students work online to edit one another’s work? This session will provide one teacher’s approach. Eric Thomas, CJE, Saint Teresa’s Academy, Kansas City, Mo. When is it OK to help yourself to some­one else’s photo, video or music that you find on the Web? You may have more — and fewer — rights than you think. We’ll look at common fair-use issues and how to stay on the right side of copyright. Frank LoMonte, Student Press Law Center, Arlington, Va.
Is your yearbook staff having a bit of trouble finding its place in the convergent movement? Yearbook staffs and online staffs should be happily married and working together. This session is full of ideas on how to merge the two publica­tions and get more coverage in both. Heading to Kansas City this Fall? How about presenting a session about Web or other Digital Media?